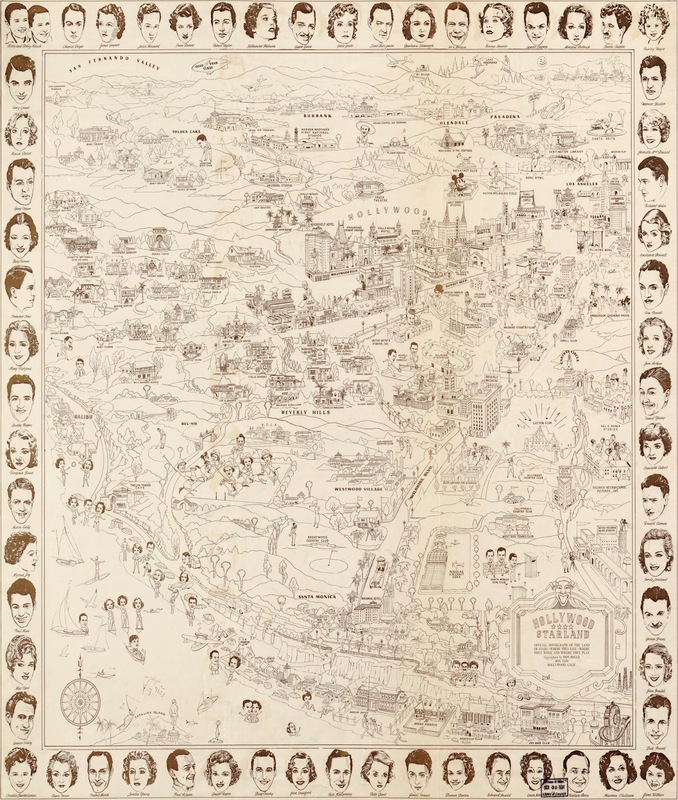 I came across this fun and fascinating map of Los Angeles circa 1937, which details the homes and haunts of the shiniest stars of the day, from Charlie Chaplin to Ginger Rogers to Cary Grant and Mae West. As sad as it is to see that many of these spots are long gone, I find it most interesting to spot all of those places that still stand today - and it is quite incredible for me to think that I got to visit several of these iconic locations less than a week ago. 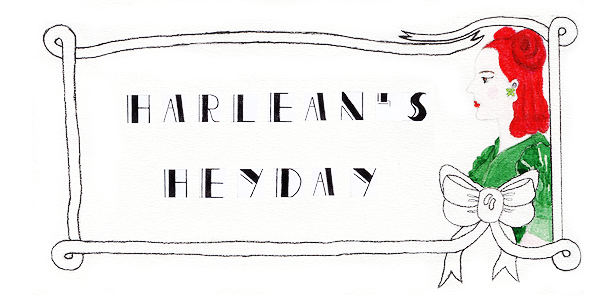 But more about all that soon! You can view a larger version of the map below and be sure to check it out in glorious full resolution over at Big Map Blog. That is so fabulously cool!!! 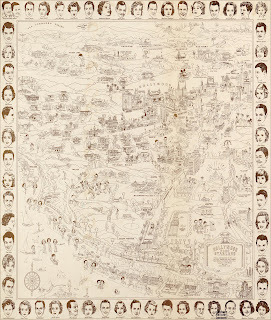 Wouldn't it be grand to have this map reprinted onto a silk scarf to wear and take with you to Hollywood (or anywhere)?